People’s rights jurist Lucita Moenir Alam contributed an article to Antillaans Dagblad at the Dutch-language newspaper’s request on the 25th anniversary of the first constitutional referendum in Curaçao, followed by the remaining territories of the – since dismantled – Netherlands Antilles. The career diplomat, also serving at the United Nations (UN) for the Dutch Kingdom, was on the committee which prepared and later executed the voters’ consultation of November 19, 1993, that became a model for all the rest. 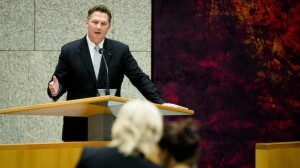 She called the recent suggestion by Dutch Second Chamber of Parliament member Andre Bosman (VVD) to amend the Kingdom Charter so St. Maarten and Curaçao can become independent without a referendum “not only unbecoming but also condemnable.” In her opinion this would in fact undermine the respective populations’ right of self-determination by taking the decision out of their hands and leaving it up to government. She reminded the political establishment in The Hague how Suriname’s parliament was basically coerced into choosing for independence by a margin of just one vote in the early 1970s, without ever consulting the South American nation’s citizens. This, in her opinion, is “a sad example” of the Netherlands’ decolonisation policy. The six Dutch Caribbean islands have instead opted for association or integration and this must be respected, the expert added. Any proposal to remove the right to be heard from the people on proposed fundamental changes is therefore unacceptable. So, those who may welcome Bosman’s idea because it makes leaving the kingdom easier should think again. As pointed out in this column earlier, he is merely offering something the islands already have, but giving it to politicians rather than the inhabitants.